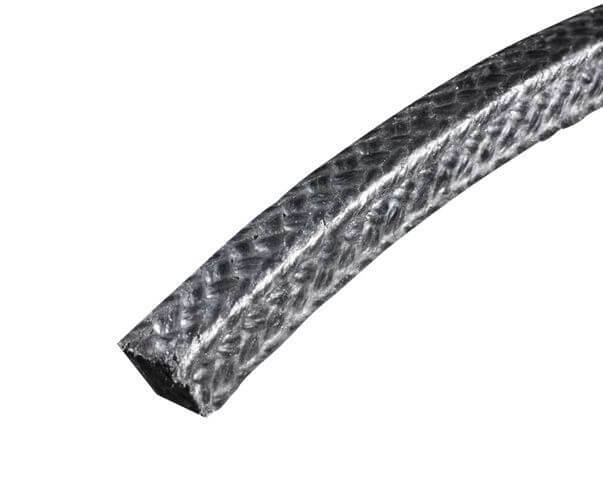 Carbonized fiber packing with PTFE dispersion containing graphite particles. 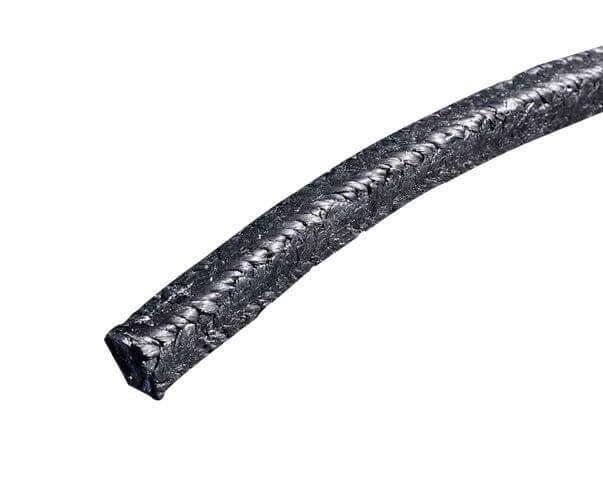 PTFE and Graphite makes the packing have excellent self lubrication. 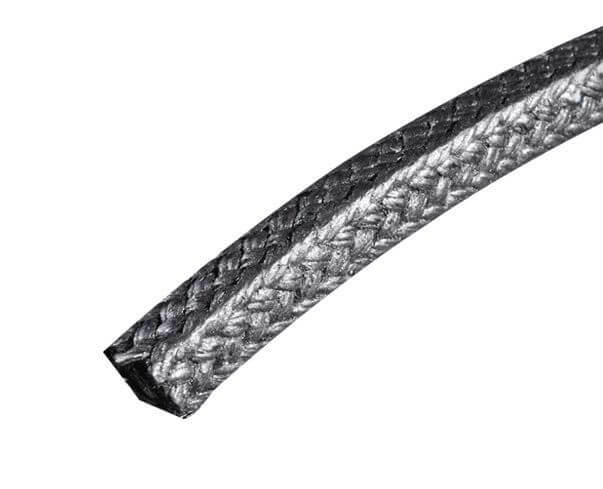 SUNWELL P502IG -- Carbonized Fiber Packing Reinforced with Nickel Wire Reinforced with inconel wire to provides increase mechanical strength, usually for static. > Main used for centrifugal pumps, plunger pumps, mixers and valves. >Particularly idea for hot water, condensate and main coolant pumps.